How did I get my first job in Sweden? Most people have different folders in their mailbox where they keep all types of important mails from the past. Some could be work-related, some could be from special people in their lives and so on. But what they have in common is that all of them have a story to tell.. The following short e-mail message that I got almost 4,5 years ago is one of those important mails for me since it taught me a lot of lessons about friendship, business, perseverance and a little bit of selling during the journey. The mail I got regarding my first recruitment in Sweden. This short mail was basically saying that BOTH my friend Alper Celik and I got the job that we applied for ALTHOUGH they were only looking for ONE person. Now let’s have a flashback and see how it all began while I note some references regarding the lessons I learned that will be explained more in detail at the end of this post. A: I think it’s time to get a part-time job. I don’t want to get any money from my family, we are not kids anymore. Me: You’re right! 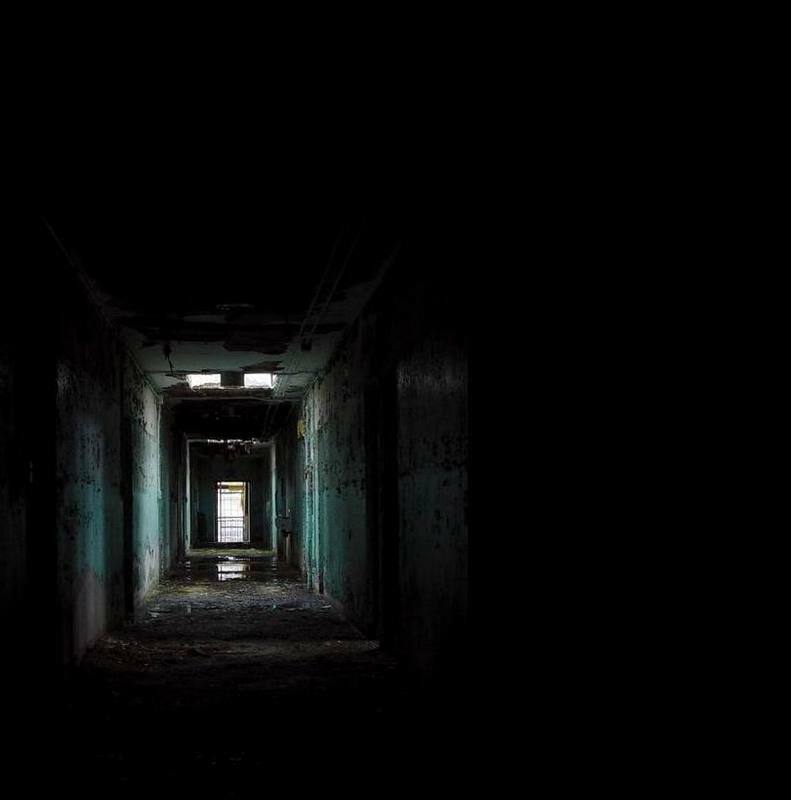 We should continue looking for something after we fix this housing issue. Wov! I say to myself, this is exactly what we are looking for! Hey, but there’s a problem since apparently the company is looking for only one person that’d be the kind of the “Campus Ambassador” for KTH. This means that this person would organize tech events for the students and be the spokesperson of the company at the campus on many different levels. Naturally, I show it to Alper as well and we agree that we should both apply for it although they look for only one person [Lesson 2]. The same evening when we are home, we wrote a cover letter together with our CVs and sent it to the e-mail address that was on this ad. A couple of weeks have already passed and neither of us got any feedback regarding our application. Since there was only an e-mail address regarding the job ad, there’s nothing much we could do other than waiting. While working on a homework for a class project at home, my phone started to ring as if it was crying to get answered. The number was not a familiar one to me so I answered the phone with a little bit of curiosity. The voice on the other side of the phone was saying that I am one of the people shortlisted for the Campus Ambassador position and asking if I’d be available for an interview in an HOUR. My answer was a big YES! After hanging up the phone, I explained about this phone call to Alper with mixed feelings since I was short listed but we didn’t hear anything regarding his application so far. But WAIT, while thinking about what to wear in this interview, his phone started to ring as well! A: Allright! Of course I can be at your office for an interview in TWO HOURs! Haydaaa (as we say in Turkish), now he’s in the shortlist as well and we’re really happy! It’s been only a month in Sweden and we’re going to an interview for a part-time job that won’t affect our studies and could be a great reference for future. Too good to be true! I’m talking to my future boss Kent over a coffee at his office. First question is always easy and I did my homework and said “NO, I didn’t have any problems finding the way to your office” hoping that he’d think how smart I’m to be able to find my way here 🙂 Isn’t that always the first question? While Alper is about to arrive at the office for his interview, we only had time to have a short chat on the phone and I didn’t even have time to tell him about what I told to Kent regarding recruiting only myself. So the next day, we got an e-mail from Kent saying that they’ll recruit either one of us unless we can provide them some REALLY good reasons to recruit both of us. So we told him that we will prepare a report where we’ll explain why they should recruit both of us. The same night, we sat in front of the monitor for hours figuring how to position ourselves and the value of recruiting both of us together. The plan was to focus on the importance of our university and what difference two people could make. 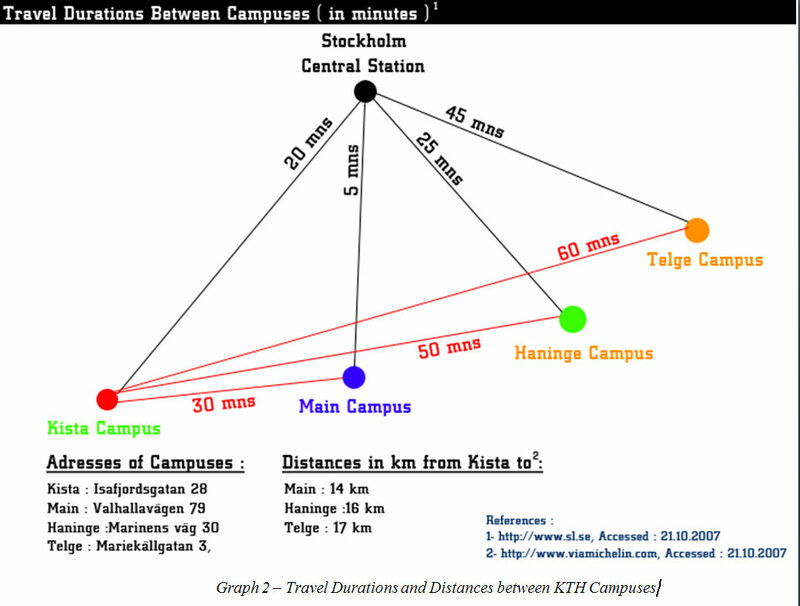 The graphic above is one of the diagrams from this report where we try to convince our employer regarding the distances between different campuses and there’s a need for at least to people to cover all the students 🙂 Of course we don’t forget to have some scientific facts and references as well. So as you can already guess, after a couple of weeks, we got the e-mail that I showed at the beginning of my post that led us to our first job in Sweden which continued for two years during our master studies at KTH. I feel privileged to enjoy many great moments at this job as we got the “Best Student Club” in Europe many times in row together with the “Best Campus Ambassadors in Europe” Award from the Sun Microsystems. We both had the honour to present our way of working, tips and tricks in a number of different European cities to other colleagues. Once we even participated at a conference in Berlin where Sun invited tens of CEOs from all around the Europe and we were at the stage together with the Vice Precident of Sun Microsystems, giving a speech to the CEOs about the student activities. [Lesson 1] : Luck is when preparation meets the opportunity. A pregnant woman would recognize all the other pregnant women on the street. It doesn’t mean that we are 9 months after Midsummer in Sweden (you know what I mean 😉 ), it just means the opportunities will be visible to you only if you are prepared to see them! [Lesson 2] : Nothing is written on the stone and if there’s a will, there’s a way! Without doing something, you can’t know if your thoughts are applicable or not. Sometimes we just give up easily because we think that we will have some obstacles on the way. But what if these obstacles are caused by misleading information or even prejudgements? I say, just do it and it’ll be done. [Lesson 3] : Closed mouths don’t get fed. Don’t hesitate to speak up your mind if you think that there’s a possibility to improve the current situation. Of course there’s a thin line between being “rude” and “showing your willingness to win-win”. One of good friends puts it greatly by using the explanation “soft aggressive”, and I guess that’s who I’m. [Lesson 4]: People in your life who are valuable for you are more important than money and career. I would genuinely feel bad if only I’d get the job and know that Alper would feel the same. Hopefully, we didn’t have to go through that. [Lesson 5]: Keeping stuff simple and stupid is the best way to go when you are writing. Think about your objectives and list down all the relative arguments presented in a simply understandable manner. I try to follow the same principles while writing proposals to our customers in my current job. 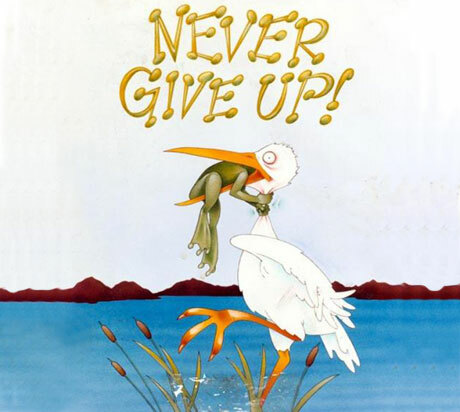 [Lesson 5] and the most important is NEVER GIVE UP! I know many people I know are about to finish their studies and are looking for a job or a thesis opportunity. I hope I was able to inspire them at least a little bit and convey some of the lessons that I learned during my first employment here in Sweden. Please take this post as it is and DO TRY AT HOME! Please don’t hesitate to comment and tell me about your story! I’d be more than happy to hear. Bugun uzun suredir yapmak istedigim seyleri bir bir yaptim, sanki guvercin adimlarla bir merdivenden inercesine..
Once telefonumun alarm tonunu degistirdim. Sonra kac gundur masanin altinda duran cilekes coraplarimi kirliye attim. Senin hediye ettigin, kazagin yanina yakisti bence. Bloguma komik bir seyler yazdim ve tarihi gecmis bir kac konserve kutusunu kirmizi kartla cope yolladim. Bana hic yuz vermeyen parfumcu kiza bakmadan isin yolunu tutmayi basarabildim. Sonra buyuk amcami aradim, yengemle aralarindaki klasiklesen “buyuk tansiyon yarisi”ni ilgiyle dinledim. Amcamin agzi kulaklarindaydi, cunku yine kazanmisti! Yengemse simdiden rovans icin hazirliktaydi, hayir hayir en hasta oydu. Alisverise gitmeye gerek duymadim, son zamanlarda evde pek yemiyordum zaten. Sadece cicekleri sulamayi ihmal etmedim, biraz da sohbet ettik tabii, balkonun son dedikodularini dinledim. Mesela gecenlerde zamanindan once sararip dusen bir kac yapragi icin, sigortaya basvuracakmis akasyalar. Ya o devetabani’na ne demeli, burnu havada aycicegine agzinin payini bir guzel verivermismis. Cenesi dusmustu mor menekselerimin, saka maka serpilip guzellesmislerdi de. Sonbahar yaklasmasina ragmen, sanki ikinci baharini yasiyorlardi. Bu arada, tamam, itiraf ediyorum parfumcu kiza caktirmadan bugun de is donusu bakmistim. Yine farketmedi nasil olsa..
Neyse herseyi bugun yapmamaya karar verdim..
Not: Tamamen hayal urunu bir yazidir. O zamanlar farkında olmasam da ilk kez beş yaşında karşılaşmıştım bu duyguyla. Her çocuk gibi ben de karanlıktan korkuyordum, oysa tuvalete giden yol, karanlık ve köhne koridordan geçiyordu. Kim bilir kaç tür ejderha, vahşi hayvanlar ve bilinmedik yaratıklar beni bekliyordu o yolda. Oysa batılıların değimiyle “doğa beni çağırıyordu”. Büyüklerden yardım istemek şanıma yakışmazdı, iyisi mi tüm tehlikeleri göze alıp karanlığa girmeli, boyumun yetişmediği lambanın düğmesine basmadan tuvalete ulaşmalıydım. Zordu ama başarabilirdim. Beynimden 2 ye 350 oyla aldığım tezkereden sonra yola koyuldum. Gözlerim ya kapalıydı ya da etraf gerçekten çok karanlıktı. Yavaş ama emin adımlarla ilerliyordum. Koridorun ortalarına geldiğimi tahmin ettiğim bir vakitte, kimliği belirsiz bir dev yolumu kesmişti. Artık durumun heyecanına dayanamayan bedenim, bir süredir içinde biriktirdiği fazlalığı, yer çekimine feda ediverdi. Benimkisi bir çeşit nefs-i mudafaaydı sanırım. Kirpiler bir tehlike anında nasıl atıyorsa oklarını ben de çıkartıvermişti zehirli sıvımı. Ayaklarına sıcak sıvının temas ettiği devin, derin kahkahası ve bir anda koridorun aydınlanmasıyla ne olduğunu anlayıvermiştim. Meğer koridorda çarptığım dev; babam ayaklarına bıraktığım ise bir süredir bedenimde misafir ettiğim gizemli sıvıydı. Olsun en azından yarı yola gelebilmiştim, mecbur kalmasam inanın odamdan hiiiç çıkmazdım..
Şimdi büyüdüm. Artık girdiğim karanlık koridorlar daha uzun ve daha belirsiz. Karşılaştığım devler hiç tanıdık değil. Üstelik onlara çarptığımda güleceklerini de hiç sanmıyorum. Ama öyle ya tuvaletin rahatlığına ulaşmak için koridordan geçmek gerekiyor, yoksa ya oturma odasında oturur ve biriktirdiğin içinde kalır, ya da olduğun yere çıkartıp, pislik içinde yaşarsın. İşte “Mecburiyet Cesareti” böyle bir şey..
Bodrum’dayim, sahilde yuruyorum, kulagimda radyonun Ege’nin karsi tarafindan getirdigi Yunanca ezgiler, aklimda gecmis ve gelecek. 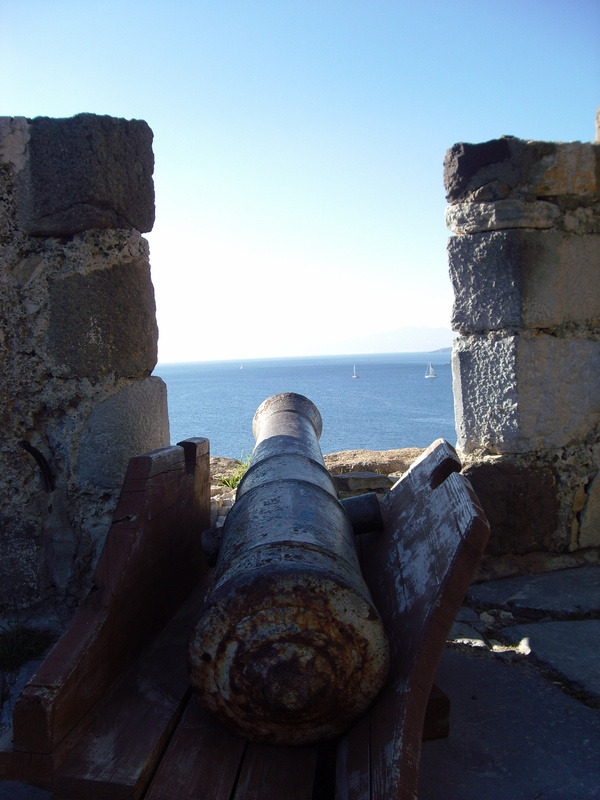 Bugunu dusunme gereksinimi duymuyorum, karnim az once yaptigim halis muhlis Turk kahvaltisinin doygunlugunda.. Iste Bodrum Kalesi tam karsimda 500 yildir benim gelmemi bekliyor gibi kucak aciyor bana. Bir cirpida atiyorum kendimi kalenin icine. Gecmis zamanlardaki heybetli sovalyelerin girisi kadar zorlu olmuyor benimkisi, sadece bilet almak yeterli.. Zaten bu gunesli Cumartesi sabahinda kalede uyuklayan gorevliler ve tamirat yapan isciler disinda bir tek ben varim. Havada ucusan anilar carpiyor saclarima kalede gezindikce. Dogrusu yaslaniyor olmaliyim, eskiden olsa pek ilgimi cekmezdi boyle yerler. Simdi bulundugum yerden Bodrum manzarasina bakarken, 500 sene once bir sovalyenin ne hissettigini dusunmek heyecan veriyor.”Burada yapacağınız bir gezi, sizi umutlarını Anadolu kıyılarında batarak kaybetmiş antik çağ gemicilerinin yaşadığı zamanlara ya da Karanlık ortaçağ döneminin şovalyelerinin yaşamlarını tükettiği ve Dünyanın yedi harikasından biri olan Mausoleum’un taşlarından var ettikleri Bodrum Kalesindeki izlerini takip etmenizi sağlayacak.” diyordu muze yetkilileri. 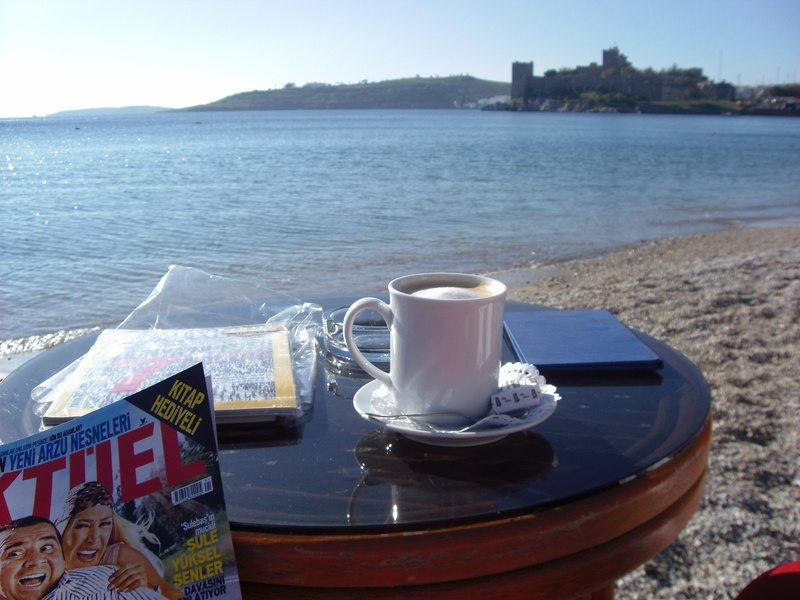 Haksiz sayilmazlardi da hani..
Bodrum Kale gezisinden sonra yerel kahvehanede icilen demli cay istahimi aciyor. Sahilde turlamaktan kendimi alamayip gozume bir kumrucu kestiriyorum. Bilmeyenler icin kumru, icinde sucuk, salam gibi kahvalti sofralarimizin vazgecilmez lezzetlerini kasarin ve tursunun evsahipliginde bulusturan bir Ege yemegi. Adi daha cok Izmir’le anilsa da tum Turkiye’de bulmak mumkundur. Sokakta bir kac amcayla ayak ustu muhabbetten sonra Zeki Muren’in evinin de buralarda oldugunu ogreniyorum.Muzeye cevrilmis bu evde benim hic tanimadigim ama ulkemde cok unlu olan bir sanatciyi tanima sansina sahip oldum. 30-40 yil once, hem de Turkiye’ye mal olmus bir insanin yasadigi yeri gezmek cok keyifliydi. Ustelik Bodrum, Ankara’dan sadece 1 saat ucus mesafesinde, ulasilmasi kolay bir yer..
Ne var ki -19 dereceden +19 dereceye yaptigim 38 derecelik yolculuk aslinda kucuk bir macerayla baslamisti. Annemin lezzetli yemekleri gozlerimi kör etmis, gidis biletimin saati ile donus biletimin saatini karistirmistim. Ustelik biletime defalarca bakmama ragmen sarmalar adeta beynimi bloklamisti. Neyseki ucusumdan yaklasik 1,5 saat sonra gittigim havaalaninda ucagi kacirmis olmanin getirdigi moral bozuklugunu atlatmam kolay oldu. Sansima bir baska havayolunun 45 dakika sonra bir ucusu vardi. Bilet ofisine kosup yeni bileti alip check inden gecmeyi isik hizinda basarip, ucaktaki yerimi aldigimda coktan kendi kendime dalga gecmeyi bitirmistim bile. Oyle ya hayat biz baska planlar yaparken gerceklesen seylerden ibaretti, neyseki ucuz atlatmistim. Kalede ve sahilde, kah gunese dik dik bakarak, kah bir sokak kedisi kadar umarsizca gecirdigim Cumartesi’yi, sahilde canli muzik dinleyerek noktalandirmistim. – Hadi gali, bi daha demeyiveecem ha. (Hadi artik, bir daha demeyecegim ha). Ege sivesi o kadar guzel ki, oturup yan masadaki tartismayi tum gun dinleyebilirdim. Bu arada hafifce esen ruzgar gunluk hayatin tum problemlerini Ege’nin serin sularina gomuyor, uzak denizlerden bana yeni umutlar fisildiyordu.Bir kac kahve ve kulak kabartilan yan masalarla aksami etmistim. Sahil yolu ve yuruyuse cikmis Bodrumlular aralarina katilmam icin beni bekliyordu. Onlari daha fazla bekletemezdim.. Denizin dibindeki masami terk ederken, okudugum dergiden aklimda su cumleler kalmisti. “Ask ve olum ogrenilemez. Ikisine de yakalaniriz”. 2011’de saglik, ask ve basariya “yakalanmaniz” dilegiyle..
* Stockholm’de Turkce yayin yapan yerel bir dergi icin yazdigim yazim. What is the Analog Shut Off (ASO) anyway? On a very basic level, it is all about more efficient usage of the limited available frequency on the air. Using the digital signals for TV broadcasting, there will be many benefits such as more TV channels, freed frequencies that could be used for other purposes and so on. Please refer to my post for more information regarding the digital dividend. T2 transmissions must be able use existing domestic receive antenna installations and must be able to re-use existing transmitter infrastructures. T2 should primarily target services to fixed and portable receivers. T2 should provide for improved single-frequency-network (SFN) performance compared with DVB-T.
T2 should have a mechanism for providing service-specific robustness; i.e. it should be possible to give different levels of robustness to some services compared to others. For example, within a single 8 MHz channel, it should be possible to target some services for roof-top reception and target other services for reception on portables. T2 should provide for bandwidth and frequency flexibility. There should be a mechanism defined, if possible, to reduce the peak-to-average-power ratio of the transmitted signal in order to reduce transmission costs. 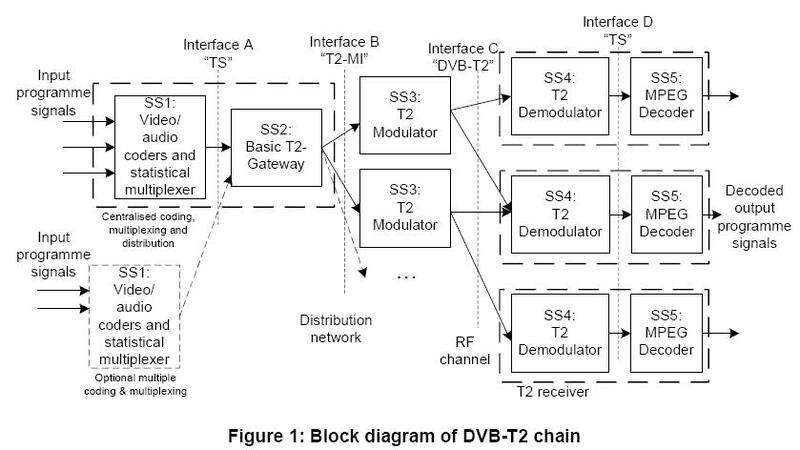 Some countries in Europe such as Italy, Turkey, Serbia, has already made some announcement about deployment of DVB-T2 network. Some trials should also take place in Germany, Spain, Sweden and Austria. Well, we will see how it goes with the trials and how much it will adopted all over the world. If you have something to share, please don’t hesitate! In this post I am going to share with you my experiences while applying for the U.S tourist visa here in Stockholm. Valid Passport: I think this is pretty obvious. Just be sure that you have no cracks in your passport. One Photograph: The photograph is a little bit issue as U.S passport photo requirements are very strict. (see http://stockholm.usembassy.gov/photo_req.html) I would recommend “Foto Aspkrans” in Zinkensdamn. Costs 180 SEK for two photos out of which you will use. Original Receipt: There is an application fee of 1050 SEK which you need to pay. The best way to pay is to go to your own bank and pay it there as you need a receipt that has your name and details on it. Electronic DS-156 Application Form: This is provided on the website. Personbevis: The type of personbevis that is stated on the Embassy’s website can only be ordered via telephone or at any “Skatteverket” branch (Call 0771‑567 567). I personally ordered on the phone but didn’t receive it in a week so I went to the Skatteverket office at the city and got it there immediately. Proof of Finance: While paying for your application fee, you could also ask for a bank statement showing the actual amount in your account. Employment Letter: I got a letter from our HR Department that I have a permanent job and am on vacation at the respective dates of the trip. Travel Plan: I didn’t have any travel plan but I had already bought my return tickets to N.Y so it counts as a travel plan. Invitation Letter: I didn’t have any invitation letter either as I am organizing the trip on my own although I will meet my friends there as well. So I applied for my visa last week the day before the Eastern holiday. I had to spend almost 2 hours at the U.S Embassy Stockholm waiting in the line but eventually talked to the consulate officer and she requested the transactions in my bank account for the last 6 months as an extra document. She was probably suprised by the fact that I have just been working for the last 10 months and will finance the trip myself. Anyways, I got the document from the bank, scanned it and e-mailed it to the Embassy. They will probably process my application during this week. I will update my status when I hear from them. Good luck with your applications and give me advices if you have some!